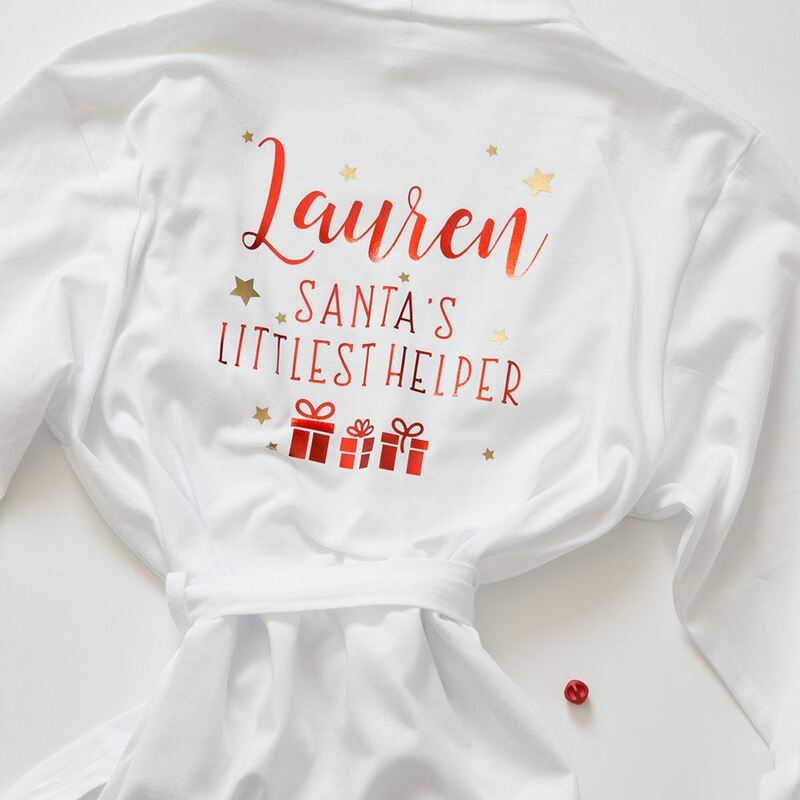 A super cute soft cotton dressing gown which comes personalised with your childs name and the slogan "santa's littlest helper". 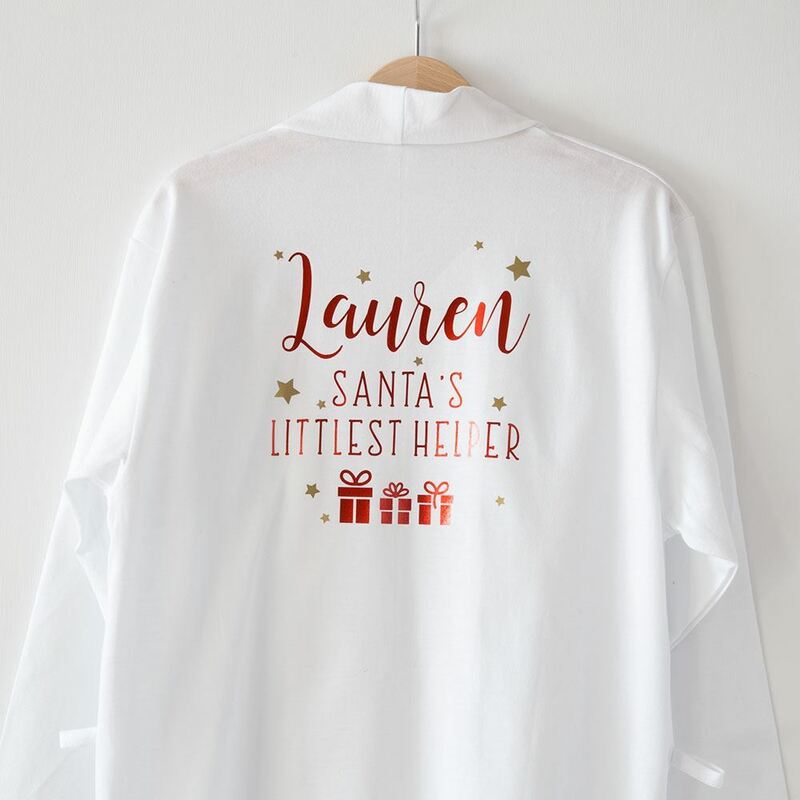 A super cute soft cotton dressing gown which comes personalised with your childs name and the slogan "santa's littlest helper". 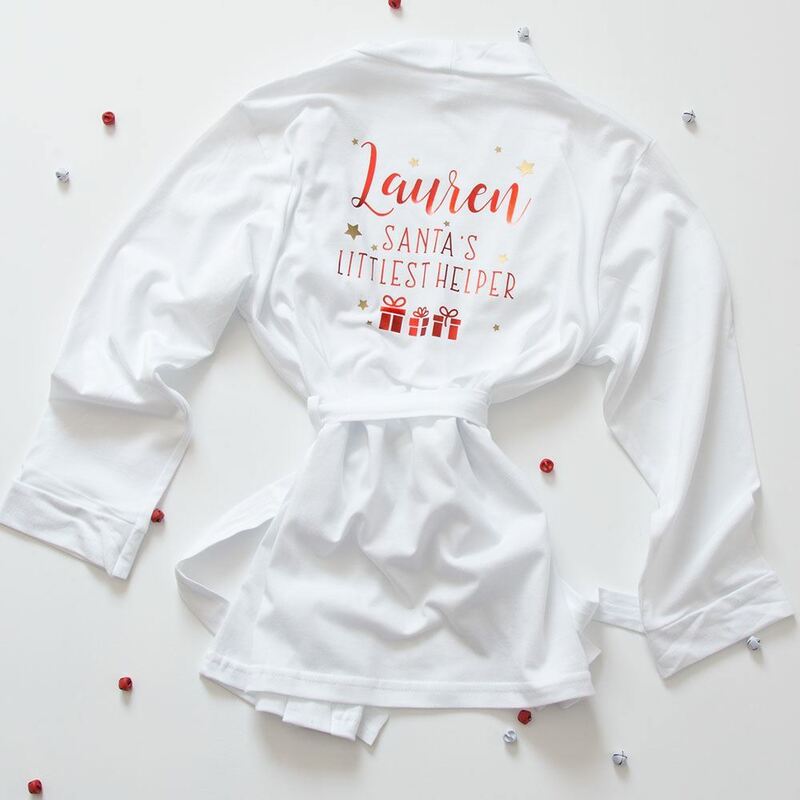 Your little one will love dressing up and keeping warm in their robe this winter.